The County provides basic and necessary services consistent with the needs of its citizens in a cost-effective, efficient, and customer friendly manner. County government assumes a proactive leadership role in determining the future direction of the county. Florence County government exists to serve the needs of its citizens for a safe, secure, and healthy environment. It seeks to foster planned and managed growth and desirable economic development that creates prosperity and job opportunities for all its citizens. 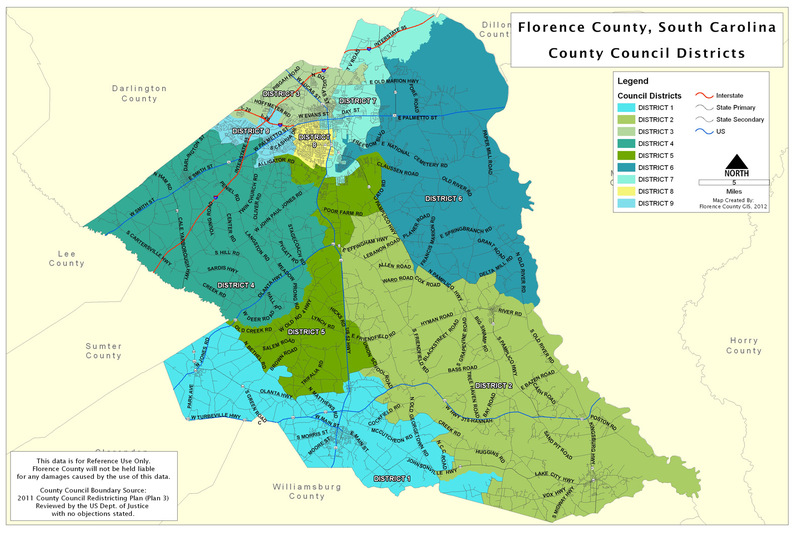 Florence County will provide an environment that enhances all learning experiences, accelerates economic endeavors, fosters a friendly and secure sense of place, and facilitates its position as the doorway to the global economy with innovative, efficient and effective delivery of services by dedicated and professional employees.